Hannah Loesch: We have to tell you—Cailin and I watched the [Chicken Girls] movie yesterday and thought you were so funny. 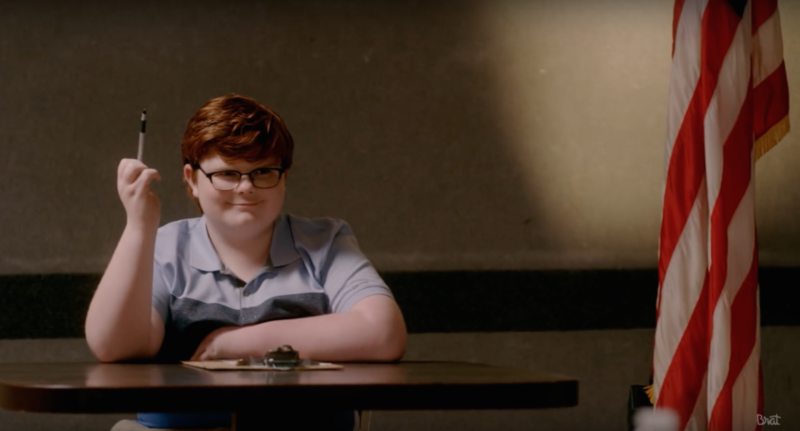 You’re like a mix between a young Rainn Wilson and Jack Black. It was amazing! Grayson Kilpatrick: [laughs] Thank you! Cailin Loesch: You have a great career ahead of you! Hannah: So Grayson, how did you get into acting? 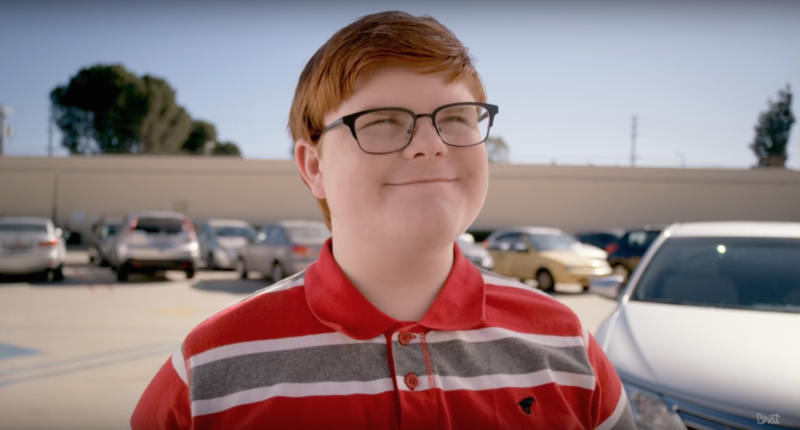 Grayson: When I was about nine, there was an event at my local theater, and there was a kid that grew up in Alabama named Grayson Russell who was in the Diary of a Wimpy Kid movies. And I go there, and he invites me on set, and I loved it. I absolutely adored it. And after that, everything just started taking off. 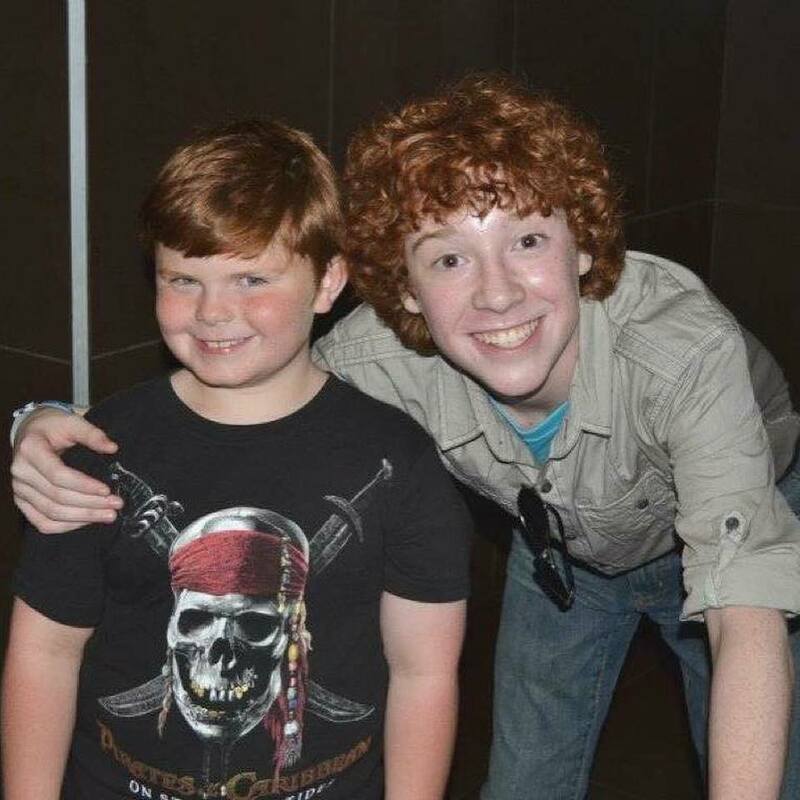 Grayson with Grayson Russell in Alabama. Hannah: Wow, that’s amazing! So you’re from Alabama? Hannah: How often do you make it out to LA? Grayson: I live in LA, however, I go back to Alabama about twice a year. For Christmas and Thanksgiving, and sometimes once every summer. Cailin: Best of both worlds! Hannah: So how did you get the role of Sheldon in Chicken Girls? Grayson: Well, my manager had pitched me for the role, and they had called us and asked if I still had red hair. ‘Cause redheads—the color of their hair naturally fades over time. So they asked me if I still had my red hair. I said yes, and they said, “Would you be interested in a role for Chicken Girls?” And I said, “That would be awesome!” I mean, I’m really happy. At the time, I’m ashamed to say this now that I know it’s really cool, but I didn’t know what Chicken Girls was. But after I got off the phone, I watched it and I actually really liked it. So I was excited for filming. Hannah: Do you have a funny story from set? You’re working with a lot of cool people who all have huge fanbases…it must’ve been a crazy world to dive in to! Cailin: [laughs] They must’ve thought you were like, a super-genius. Grayson: Yeah, it’s not that hard to do it once you start it. It’s just memorizing a few turns. Hannah: Oh, is it? I’ve tried to learn it and I haven’t gotten it yet. Thanks for the inspiration, Grayson! [all laugh] Grayson: You’re welcome! 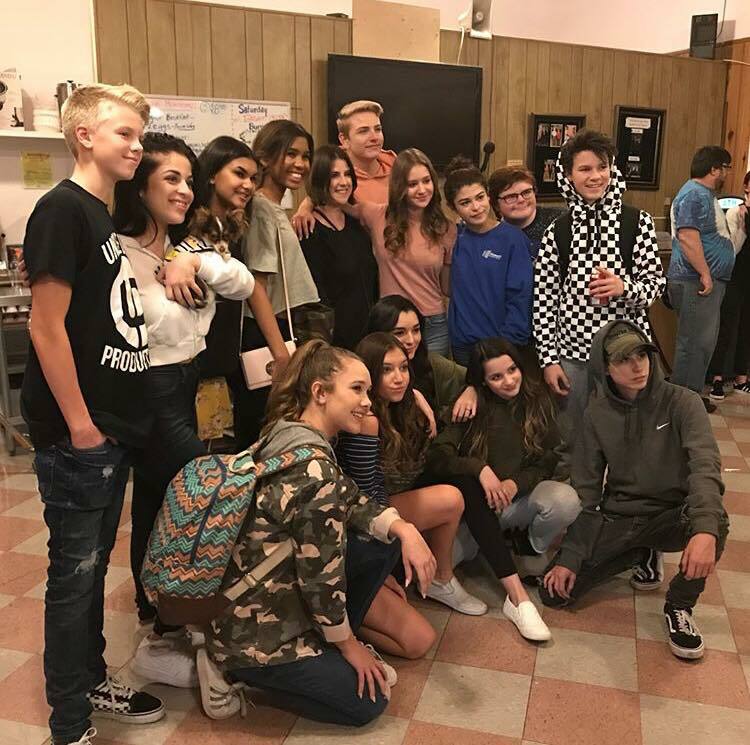 Cailin: Like we said before, Annie LeBlanc and her sister [Hayley], and Hayden Summerall…are all insanely popular with teens. What was it like working with them? 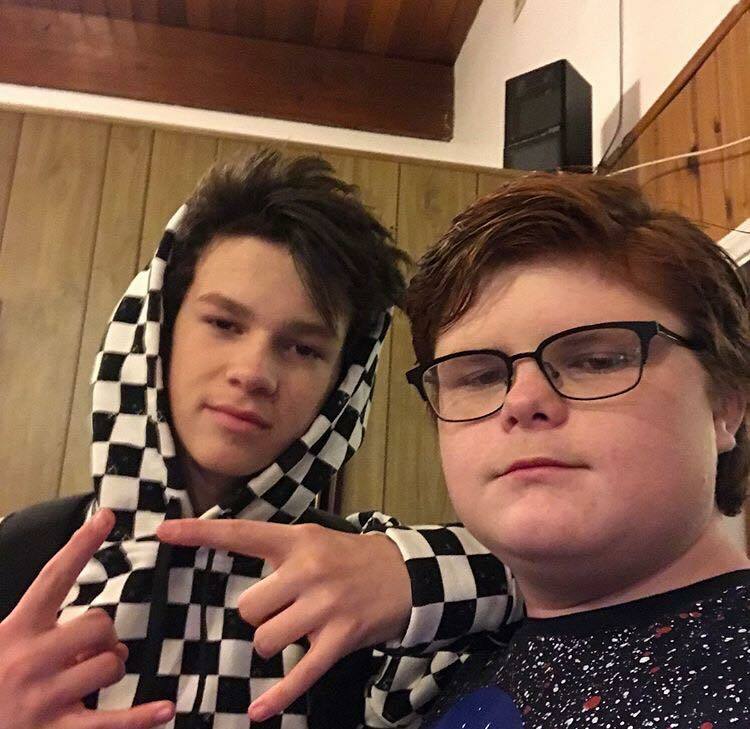 Are they as cool in person as they seem if you just follow them online? Grayson: Yeah! 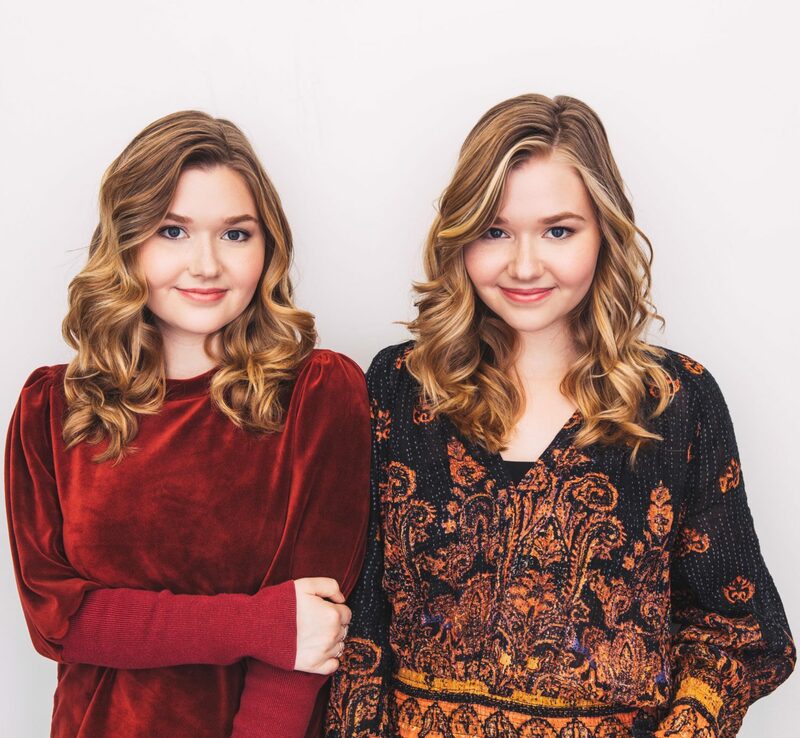 When I first got there, I didn’t know how it would be, but once I started talking to them, everybody was so nice…Annie, Hayden, Carson [Lueders], Jeremiah [Perkins]…they were all so nice. 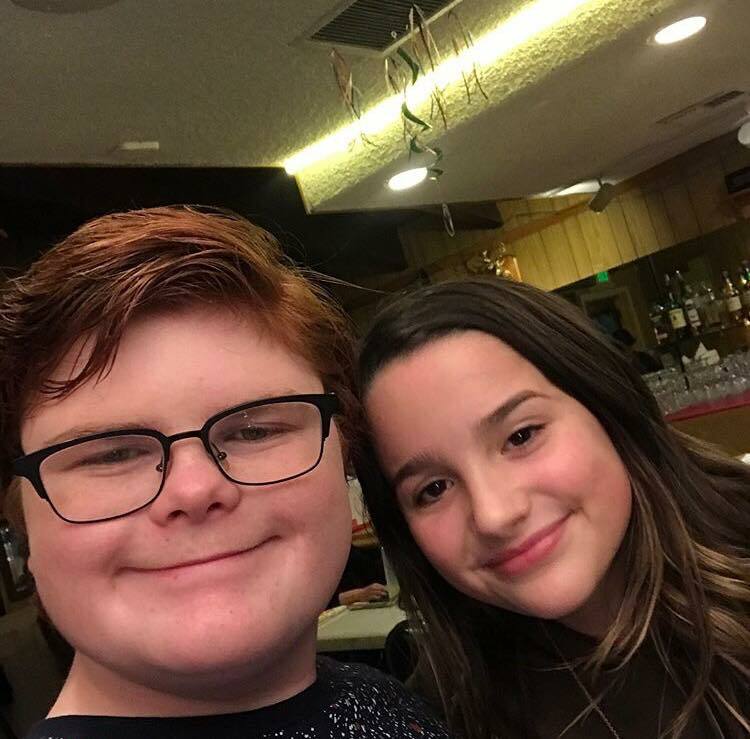 We had a lot of fun times on set, and it was really cool meeting all these new people. It was just a great experience. Cailin: Of course! 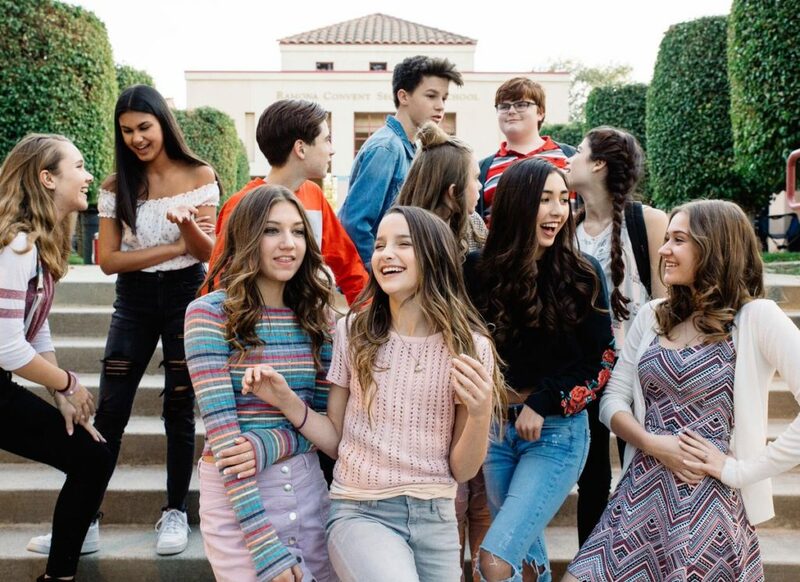 I wonder, when you watch Chicken Girls, and the movie…when you watch shows depicting young teens and people in middle school and high school…how much is it actually like real life in school and with friends for someone like you who is actually in that age group? Grayson: Hmmm…I’m not quite sure, because with me, I’m homeschooled. I do go to like a school-type deal every Wednesday, where I meet up with people around my age group and we take a class together, but mainly, my age range, surprisingly we aren’t into that prom, romantic-type stuff right now. However, there are parts, I’d say like 50% percent of it, [which was relatable]; there’s a part of the movie where I can’t do Spanish, so that’s definitely something. And there are a few other things; I could see the principal canceling prom and doing a test [instead] if the scores are low. So that’d be about fifty percent. Hannah: Is there a character that you haven’t played yet, or a type of character, that you’re hoping to play in the future? Grayson: Hmmm…I would like to a little bit more of a comedy role than I did in Chicken Girls. Like, don’t get me wrong, I loved doing my role in Chicken Girls, however, I’d like to do strict, like strict comedy, where I could go all out with all different types of humor. But other than that, I’ve done most of the roles that I’d like to do, and I’d like to do most of them again! Cailin: Last question for you, Grayson. We’ve been talking about how Chicken Girls and the Brat shows are such a big hit, and I know you said you were reluctant at first because you just weren’t sure what to expect, but really enjoyed it after you saw it…what do you think it is about the shows that make them so popular? Grayson: I’m not sure, but for me, it was the storyline. However, for other people, it could also be the story, but it could be that [it appeals to] their age range, and some of these kids are dealing with the stuff that the kids on Chicken Girls are dealing with. It’s like they’re connecting with other kids their age. 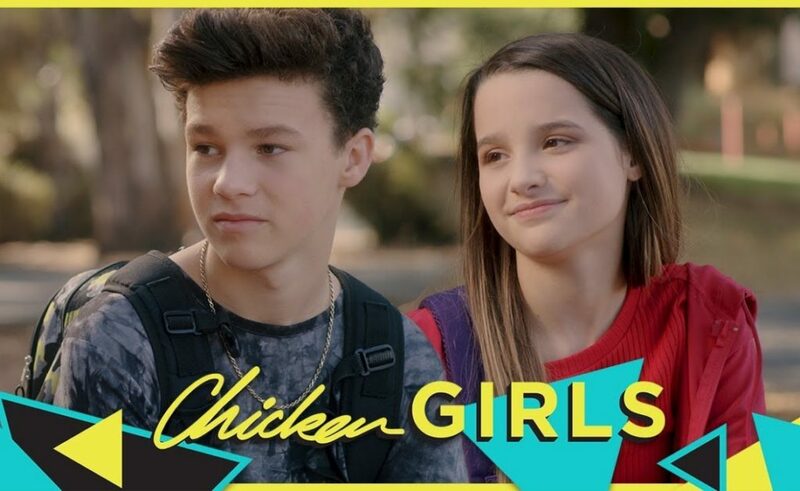 You can watch Chicken Girls: The Movie here!